The ISM’s annual Members’ Day took place in the stunning setting of Jerwood Hall, LSO St Luke’s, on Thursday 26 April. 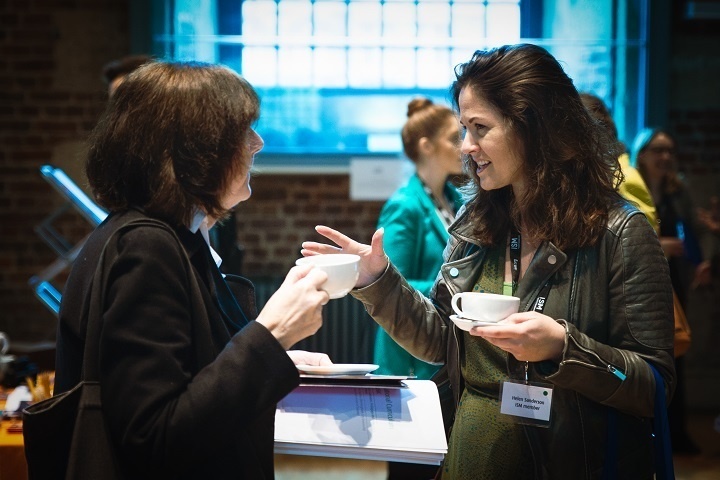 We welcomed over 100 musicians from across the UK to the 18th-century church in Old Street, London for an eventful day of sessions, networking and catching up with colleagues and friends. 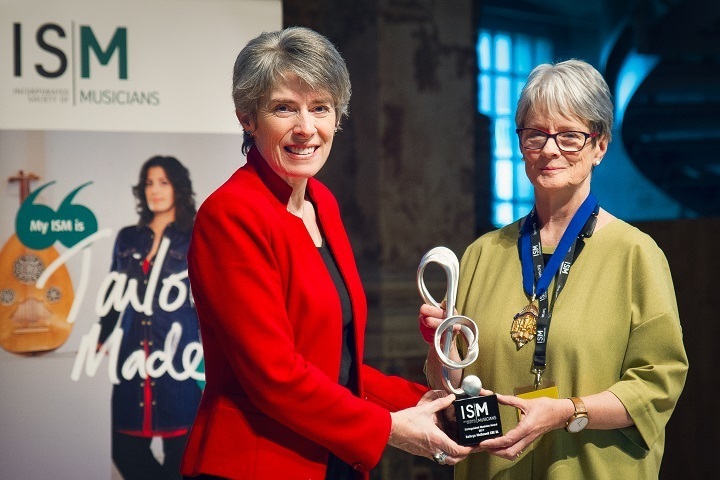 The day officially started with the awarding of the ISM Distinguished Musician Award 2017, to the renowned musician and businessperson Kathryn McDowell CBE, DL, Managing Director of the London Symphony Orchestra and former Chair of the Association of British Orchestras (ABO) for her extraordinary services to music as a leading figure in the orchestral sector. 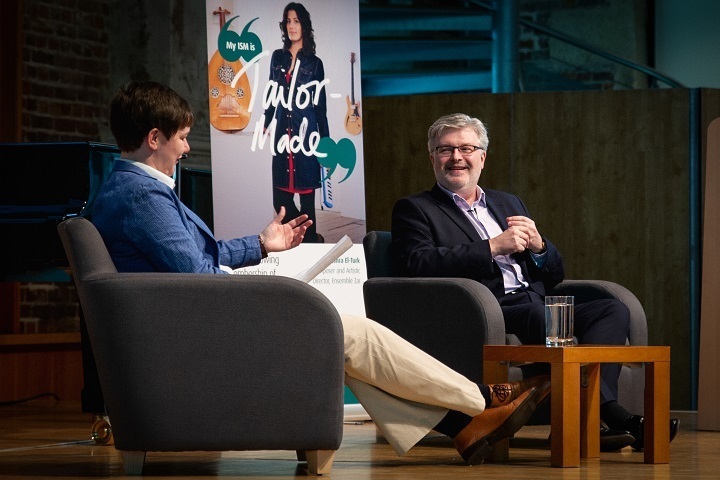 As the interview ended, Sir James took questions from the audience who were very willing to find out more about his day to day life and composing process. After the first session drew to a close, the AGM took place where members heard about the ISM’s activities over the course of the financial year. After networking and catching up with colleagues and friends at lunch, it was time for the final session of the day: Bernstein and musical theatre: a celebration – with Jeremy Sams. In celebration of Leonard Bernstein’s centenary, Jeremy Sams treated us to a journey through the composer’s musical theatre repertoire, inviting West End singers, Charlotte Vaughan and Damian Humbley to perform a collection of pieces accompanied by Theo Jamieson on the piano. In between performances of the composer’s finest works, from On The Town to West Side Story, Jeremy captivated the audience with insight into Bernstein’s career and creative process, citing Bernstein as the ‘finest composer who wrote musicals’. To end the day, it was time for Sue Sturrock our wonderful President for 2017/18 to pass the presidential medal to our new ISM President 2018/19 Professor David Saint. ‘It is a great honour to be taking up the Presidency of the Incorporated Society of Musicians for 2018-19. As I do so, I am deeply aware both of my very distinguished predecessors in the role and of the incredibly important work undertaken by the Society on behalf of musicians and our profession.